1821 Gallery & Studios proudly presents new work by Michael Garcia. The exhibition entitled, Enso: Archetype of Wholeness, opened Thursday February 7th. This outstanding body of work was featured for two months, February and March. 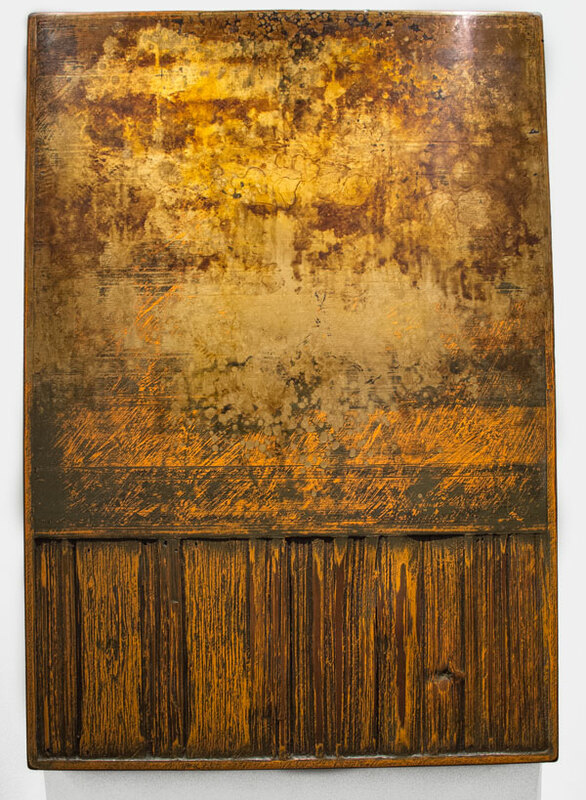 Michael Garcia creates richly textured works on panel. 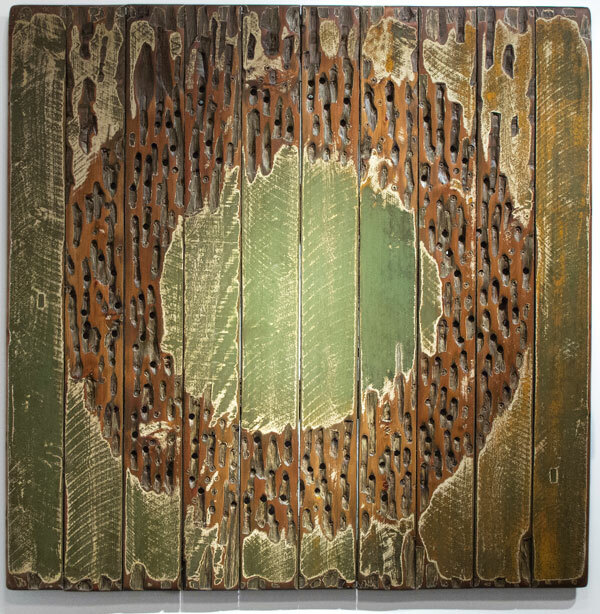 His process involves building up layers of paint then tearing them down by scraping, sanding, and burning, to reveal a surface that has the abused and weathered quality of an object damaged by time. 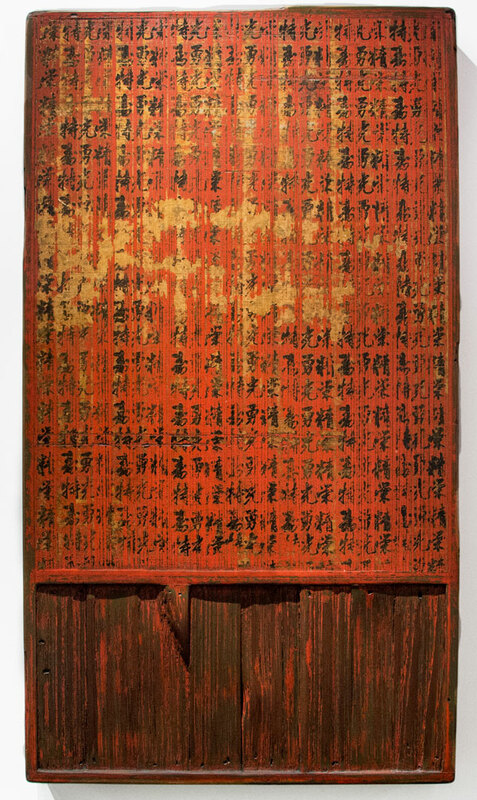 Garcia’s work reflects his immersion in Japanese culture and aesthetic, from ten years spent living and working in Japan. But, it also mirrors the strength and character of the valley, echoing the worn and rust soaked boards of Garcia’s grandmother’s home in Madera, a place that now only exists in memory. In Enso, Garcia further explores the circle and exposes the wealth of character that has made his work so enigmatic and beloved.